I read in various places this week about how taking pictures is a form of paying attention. 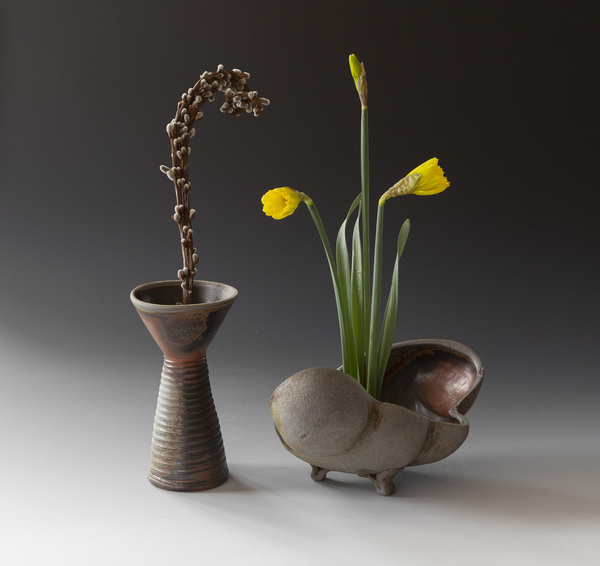 Today as I photographed to document the balanced moment of the equinox in our year of light, I kept changing my mind about what I was after, arranging daffodils and willow, shifting pots, placing sculptures, removing a painting without breaking anything. This strange dance of arranging, shooting, changing, adding an inch of air feels the way spring feels around here. It has been warm one day, then cool and drying an inch and then drenched in more rain. Our buds on trees and flowers emerge and then look as if they shrug saying hold that thought. This page contains a single entry by Catherine White published on March 21, 2019 4:22 PM. #21 decembrance 2018 was the previous entry in this blog.